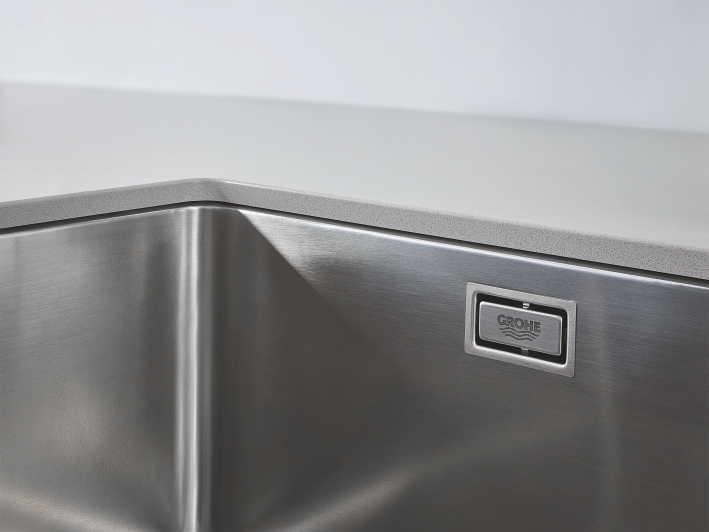 INNOVATIVE SINK FEATURES - GROHE sinks come with clever features that will make washing up less of a chore. 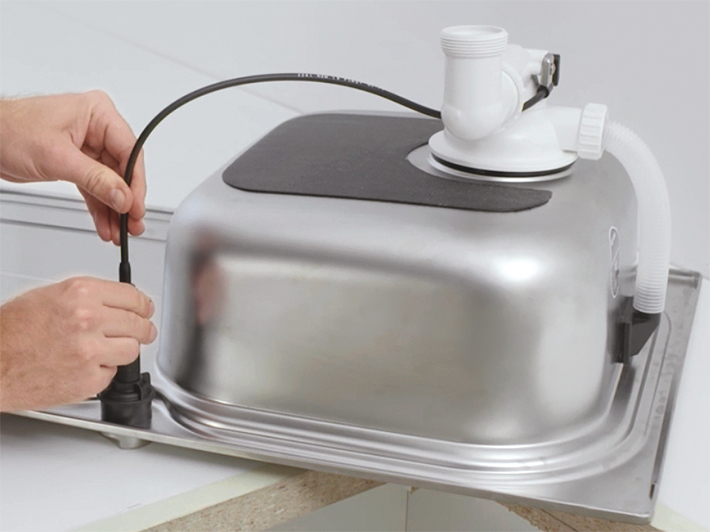 Our sinks are easy to clean, reduce water noise and even come with a remote controlled waste. Just chose your preferred size and style. 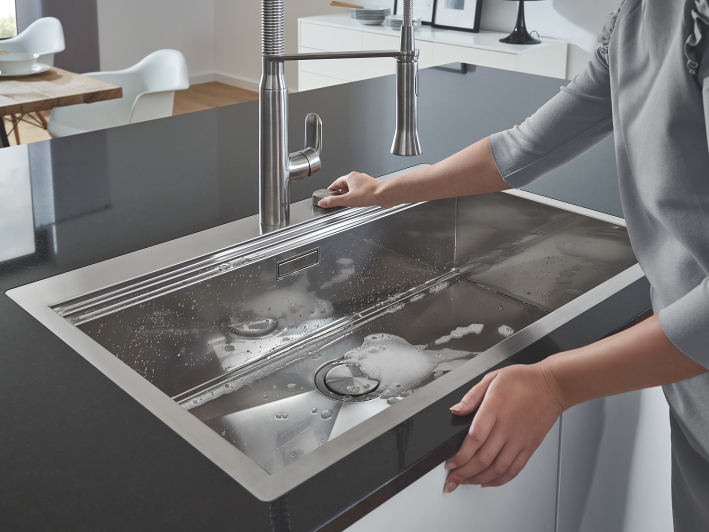 A sparkling, durable surface that will keep your sink looking great. 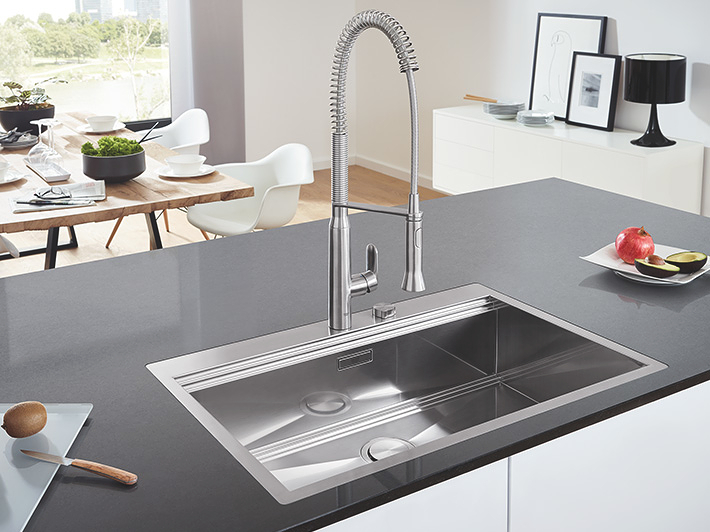 With GROHE StarLight we use above-standard stainless steel, and our innovative brushing technique creates a smooth, easy-clean surface. 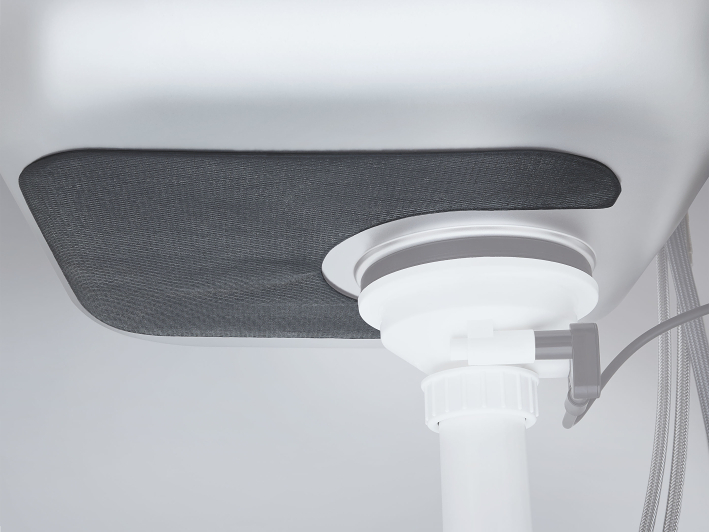 Install your sink swiftly with our GROHE QuickFix system. 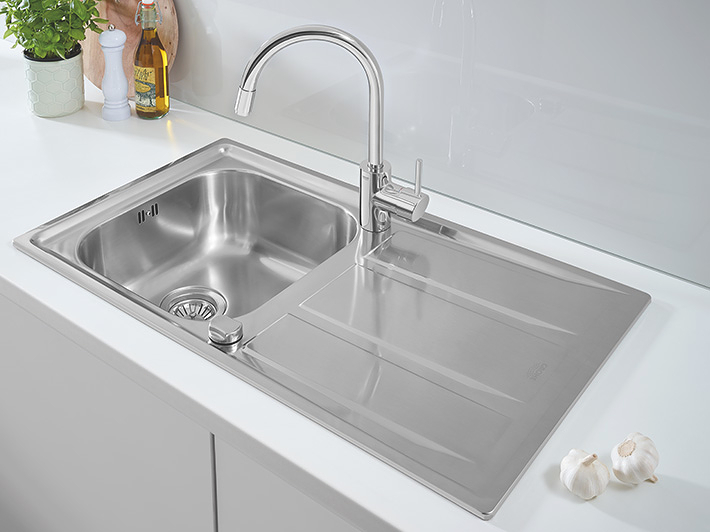 Pre-punched tap holes make most of our sinks fully reversible too. 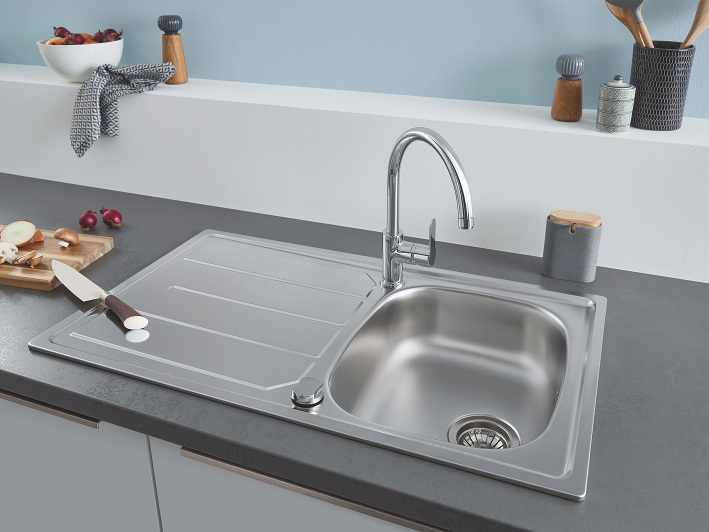 Reduce kitchen noise with our GROHE Whisper technology, specially insulated sinks which minimise sound from the bowl. No more plunging your hands into dirty water – this automatic waste is operated via remote control, keeping your hands clean and dry. Greater bowl depth for increased capacity. 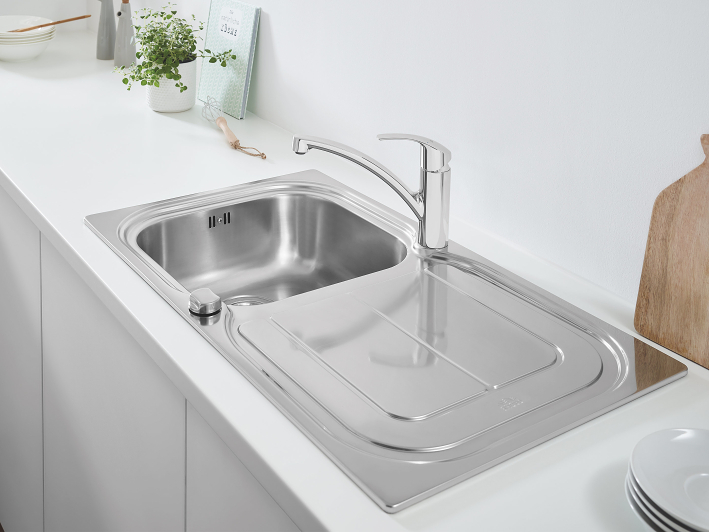 The K300-K1000 series of kitchen sinks are treated with special vegetable fibres (Tampico) that give an extra fine satin finish. 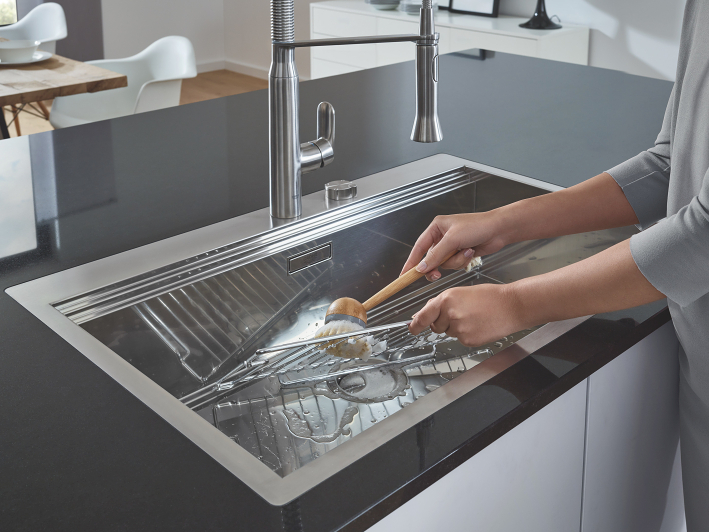 GROHE’s patented brushing technique (GROHE Satin Finish) creates a stainless steel surface that is smoother and less porous than many other brands, making cleaning your sinks easier and significantly enhancing its durability. 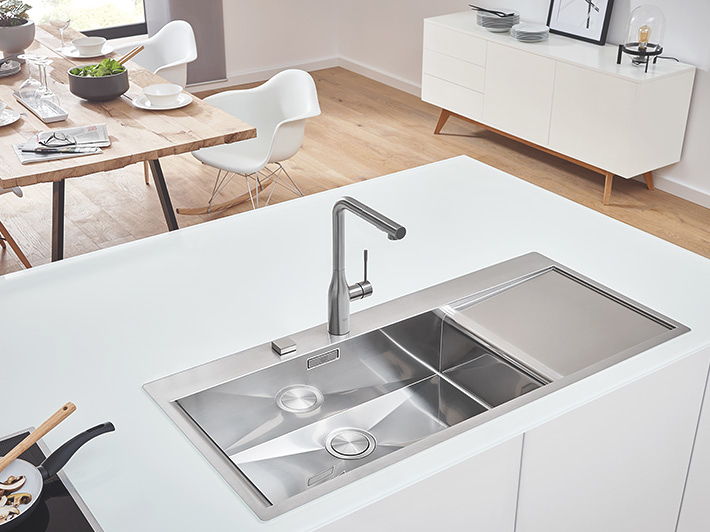 Every GROHE kitchen sink uses AISI 304 stainless steel, exceeding the quality standard of the industry. 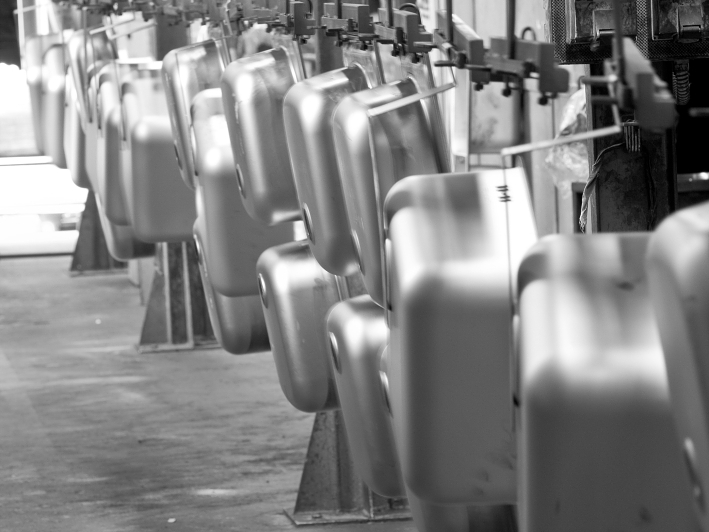 Thanks to the high percentages of chrome and nickel it contains, AISI 304 steel gives a particularly bright finish and makes the products durable against rust and corrosion. 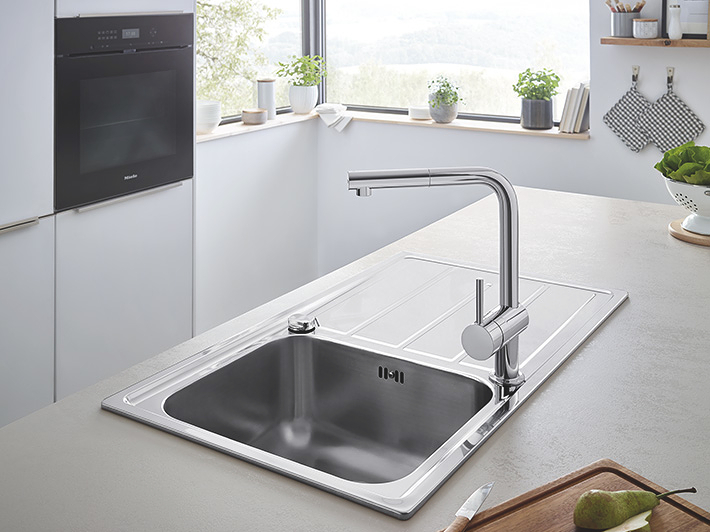 With AISI 316 available on the K400+ series, GROHE kitchen sinks offer a durable solution even for regions with a salty, rust-causing climate. Also known as the “marine steel”, AISI 316 has a high percentages of chrome, nickel and molybdenum, the steel is extremely resistant to rust and corrosion and even acids or chlorine. 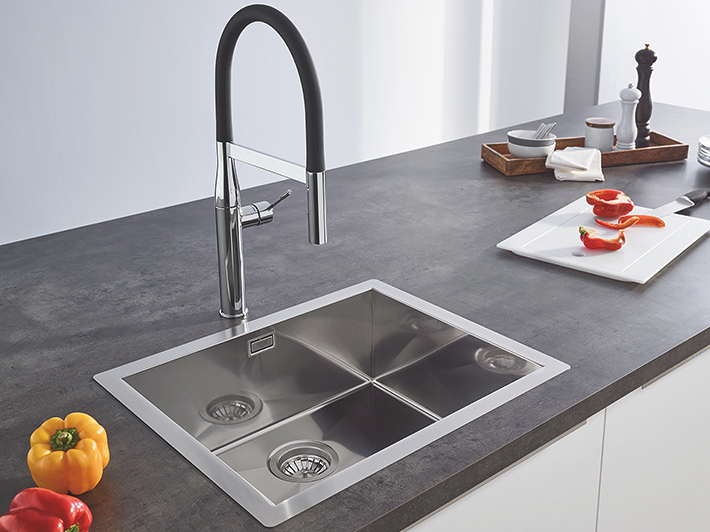 GROHE kitchen sinks cover every base, from entry-level models to sophisticated, minimalist designs, made using one of three manufacturing types. 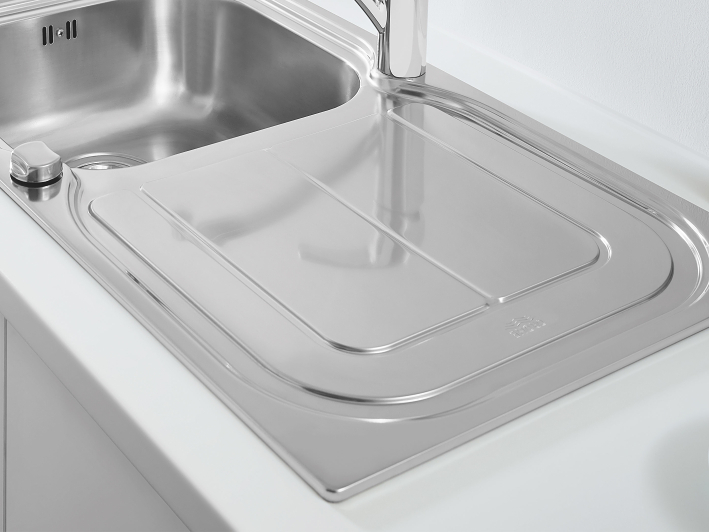 Each sink is moulded from a single sheet of high-qualitystainless steel, using a press mould. tap and waste holes are punched afterwards. 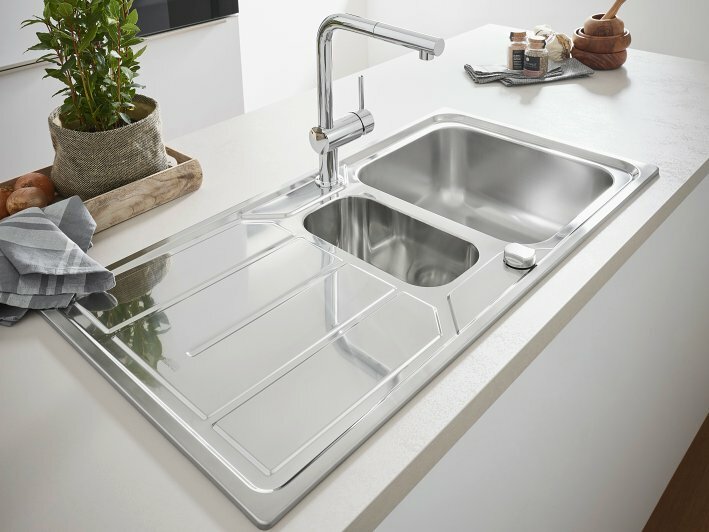 This method creates sturdy kitchen sinks in even complex shapes, creating a sink that is both durable and affordable. 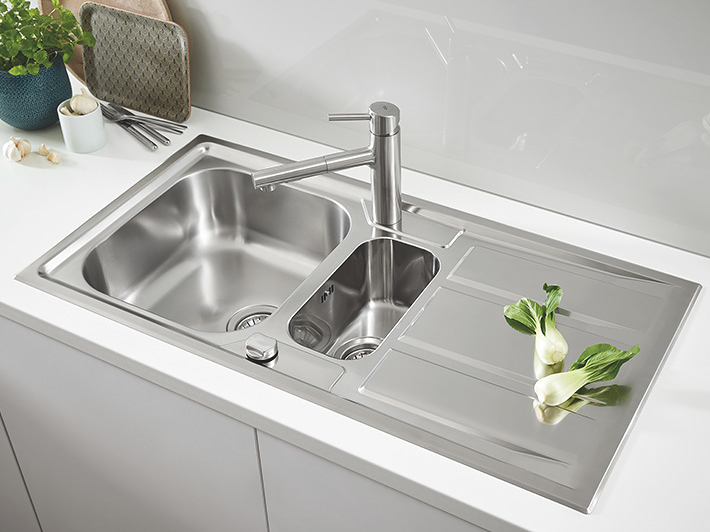 The sink’s frame and bowl are press moulded inhigh-quality stainless steel before being welded together. This process allows for deeper bowls, more vertical walls inside and a slimmer radius between bowl and frame, for a sleek, modern look. High-quality steel is laser cut to measure before being bent into the bowl shape. This bowl is then welded to the sink’s frame. 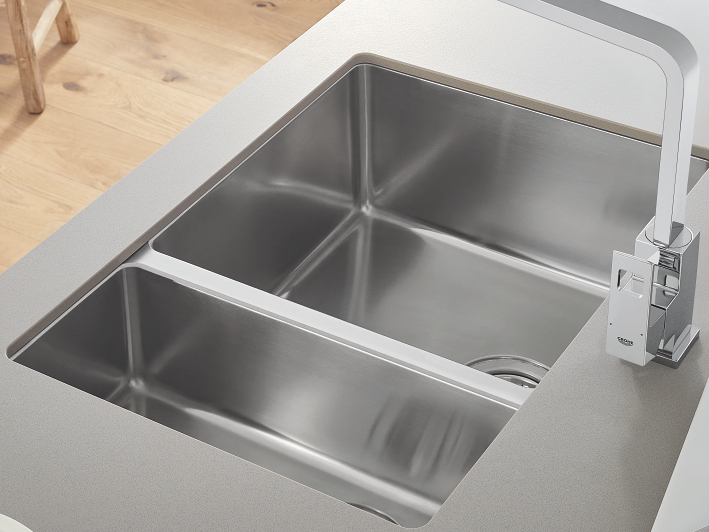 This method allows for crisper internal angles in the bowl with a very narrow radius – ideal for minimal sink designs. As there is no mould, the steel stays smoother and retains its original thickness, even at the bottom of the bowl. Traditional built-in with a vertical 8mm edge. An original edge with an inclined 3mm high profile, matching an extreme elegance with ease of installation. 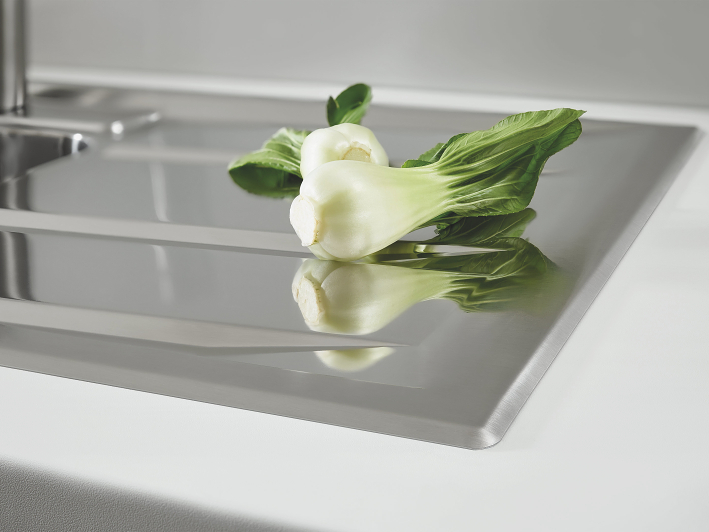 Sleek and contemporary idea for installation under the worktop. 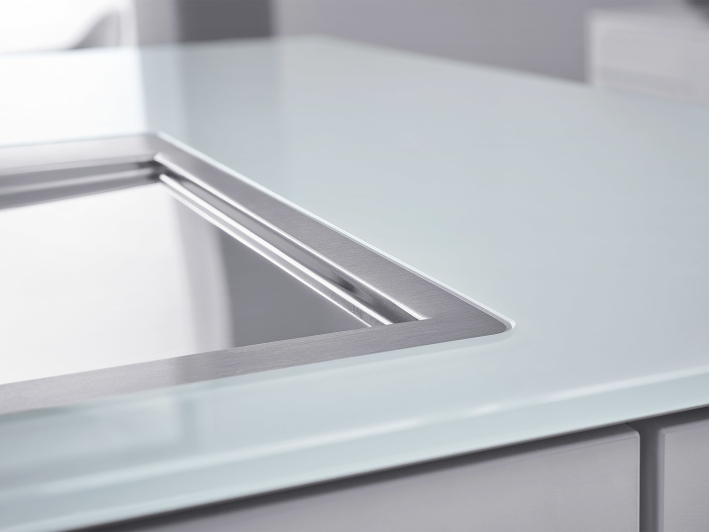 The product is sunk with a 1.5mm deep recess making it perfectly flush with the worktop. 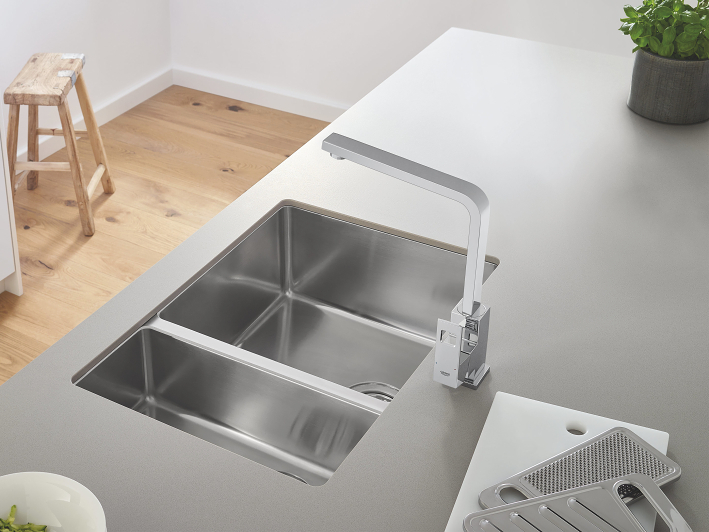 Alternatively, it can also be installed on the worktop. 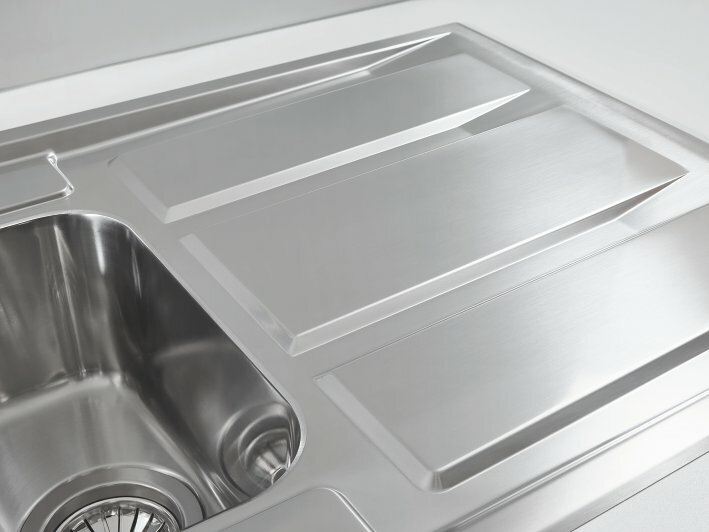 Your stainless steel sink is easy to keep clean. By following these instructions you will be able to enjoy its flawless finish for years to come. Rinse the sink thoroughly after each use and dry with a clean cloth. Normal cleaning agents can be used provided they do not contain hydrochloric acid or derivatives thereof. In the event of a persistent stain, try applying a little warm vinegar or certain types of stainless steel cleaners. You can also use Grohclean. 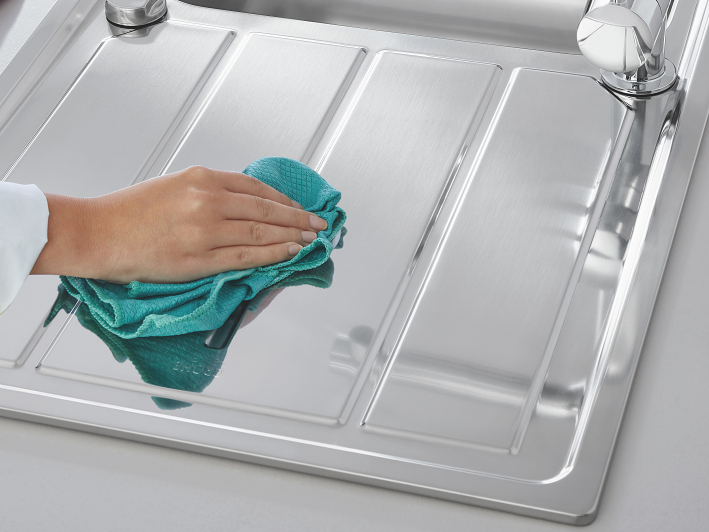 Do not use steel sponges to clean the sink or other items that could scratch the surface. Avoid the use of salts or bleach. Do not leave iron objects on the sink for prolonged periods.